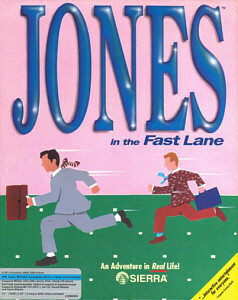 Jones in the Fast Lane « The MIDI Music Adventure Show! Take me to the downloads! Ken Allen’s “Jones In The Fast Lane” soundtrack, as recorded directly from the Roland MT-32 Sound Module by Ignacio Ferreyra. These files have not been altered in any way and are presented as heard during actual gameplay. Please note that the track numbering does not necessarily represent the order these songs are heard during actual gameplay. To download a song, click the icon of the version you want. All songs and screen captures Copyright ©1986-1998 Vivendi Universal/Sierra On-Line/Dynamix, Inc. All rights reserved. Used with permission. All enhancements and recording performed by Quest Studios unless otherwise indicated. Copyright ©2005 QUEST STUDIOS. All rights reserved. Is something on the QuestStudios Archive missing, not working, or otherwise? Would you like to help to add content? Please let me know at the "Contact Us" page!